Easter Egg Decorating can be a lot more exciting than traditional fizzing dye pellets in vinegar. 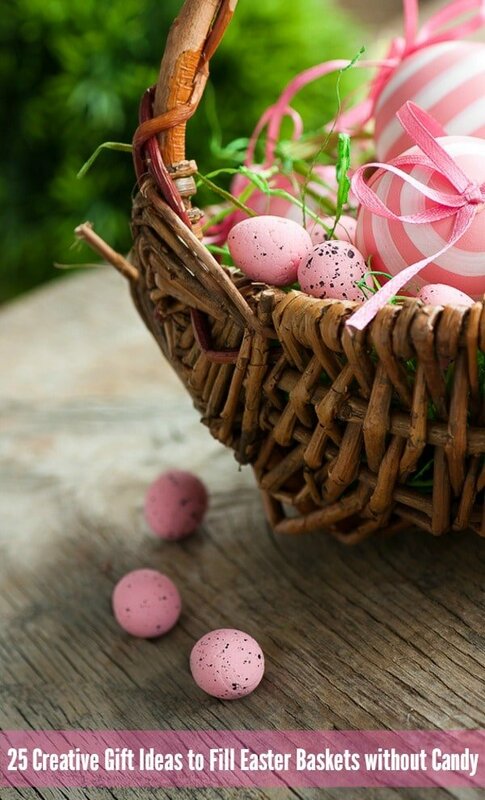 This collection of ideas will take your Easter celebrations up a notch! 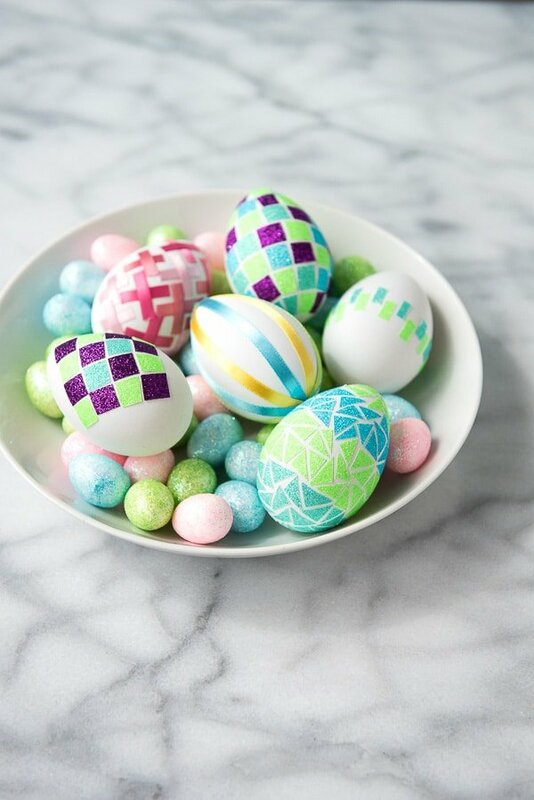 With Easter coming quickly, I love to think of new ways for Easter egg decorating. Don’t get me wrong; I love those brightly colored dissolving die tabs and the overpowering smell of vinegar as the eggs soak too. I just decided a few years ago that I wanted to broaden my Easter egg decorating repertoire! 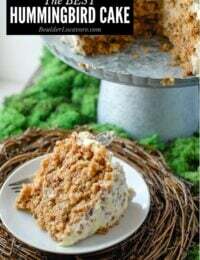 Here are some favorite ideas for adults and kids to try this year! 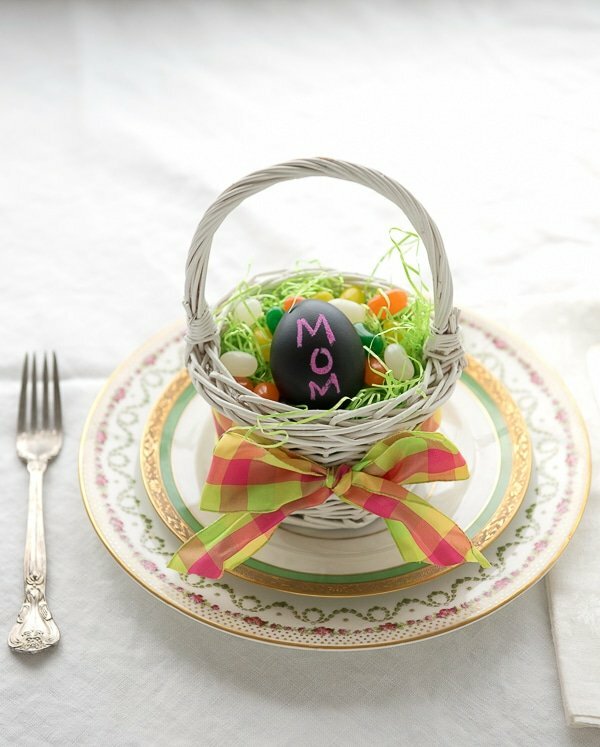 A starting point for Easter egg decorating is usually making hard-boiled eggs. 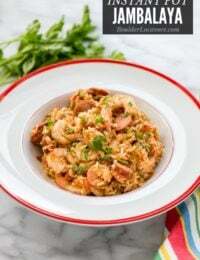 I began making hard boiled eggs in the Instant Pot and love it. It’s fast to make a large batch quickly for Easter egg decorating. 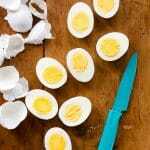 This three part method of cooking hard boiled eggs in the Instant Pot is a proven success! 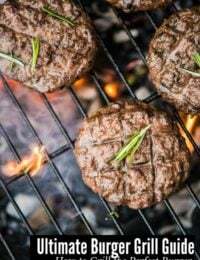 The cooking time is based on altitude and is rounded to a the nearest minute. 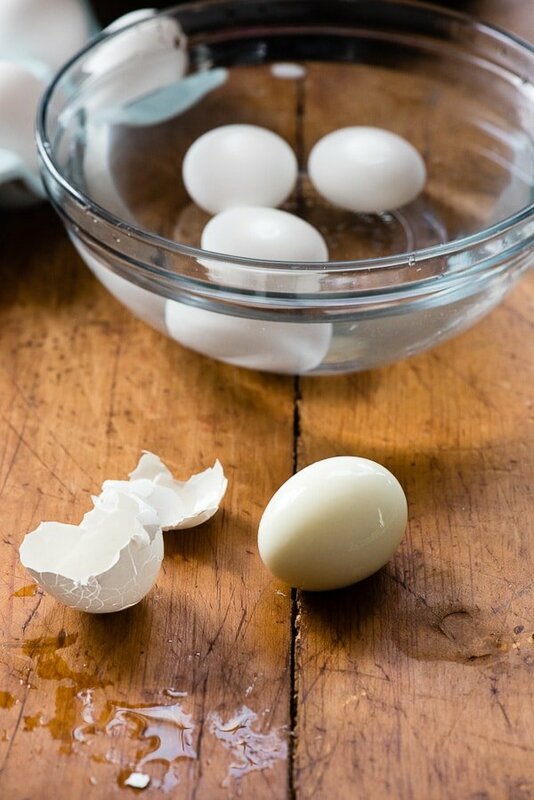 This easy method makes great hard-boiled eggs every time. 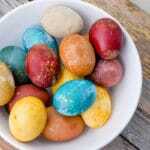 Are Dyed Hard-Boiled Easter Eggs Safe to Eat? 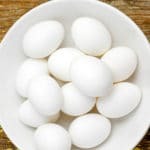 The American Egg Board says hard boiled eggs are safe to eat for up to two hours without refrigeration. 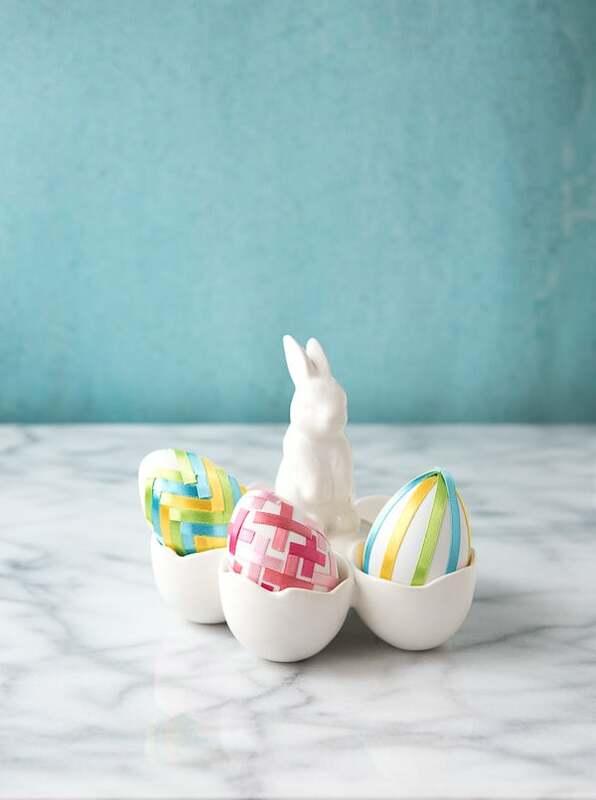 So, if you set up your egg hunt the night before, use those beauties for Easter Brunch décor not for egg salad sandwiches. When a food safe dye has been used, AND the eggs have not been left out of the fridge for over 2 hours, you should be safe to eat them. If you spot any dye on the egg itself, throw it out. A crack in the egg’s shell can introduce bacteria that could make you ill. 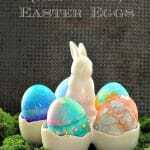 Craft stores and Amazon sell ‘Decorating Easter Eggs‘ which are inexpensive and dyeable! They are a synthetic egg that is recyclable and reuseable. Using them removes any worry about lack of refrigeration and your creations (or your kids’) can be kept for years to come. Click the titles of the methods below for all the details on each one! 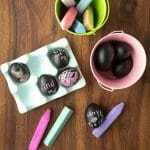 This is a very fun method of Easter egg decorating and uses all-natural produce to create the colors. They have an earthy feel and can be made shiny with a simple little trick! May favorite are the deep blue eggs…..made with red cabbage! 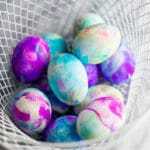 Using natural vegetables and herbs to naturally dye eggs is a fun and rewarding project. This method is a fun one with roots going far back. They weren’t used just for Easter! This is a great project to get rid of any old silk ties! 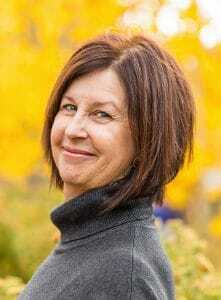 Take a trip to the thrift store or the fabric store and have a blast. Also, in this recipe is a fun molded hard-boiled egg method! 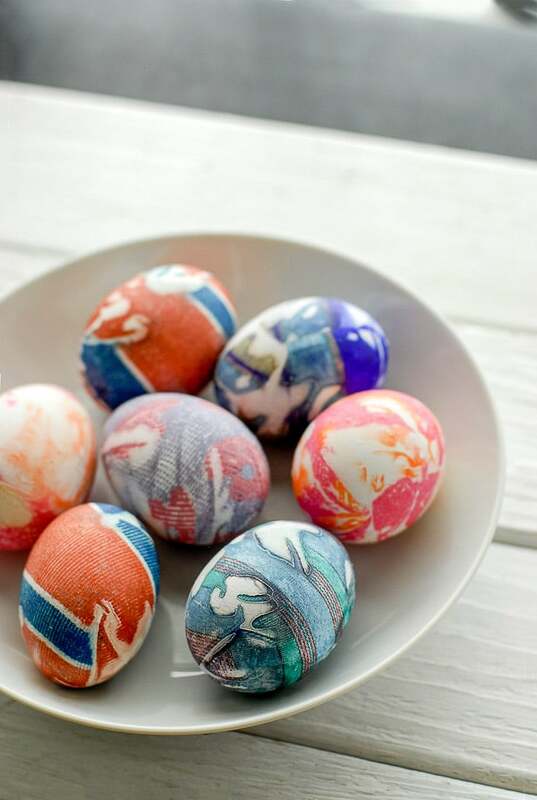 Silk Dyed Eggs are fun to make and perfect for Easter or other occasions. 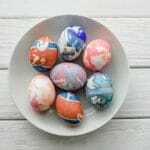 Using ‘bleeding tissue paper’ these stained-glass eggs couldn’t be easier. Bleeding Tissue deposits color when wet so it’s a fun way to find your inner artist. 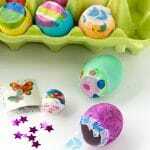 You can take these Easter egg decorations further by adding embellishments too. TIP: find small rhinestones and decorations in the sticker department of the craft store. No gluing required. Guess what? Temporary tattoos aren’t just for kids; they are for decorating Easter eggs too! 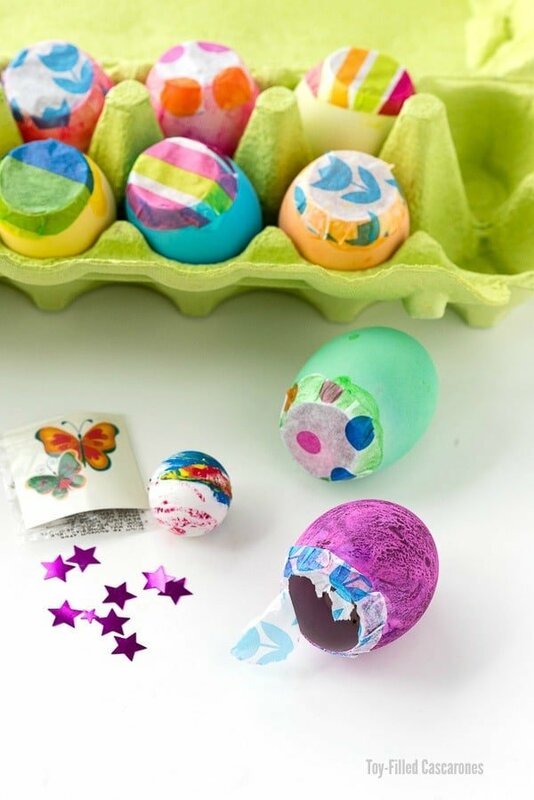 Temporary tattoos transfer with moisture so are an easy and fast Easter egg decoration. Buy some you love or this post instructs how to make your own. 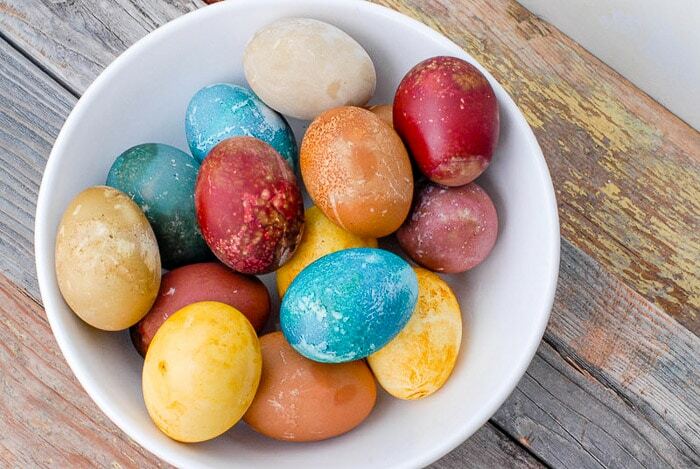 Apply them to dyed eggs or find naturally colorful eggs to put them on. 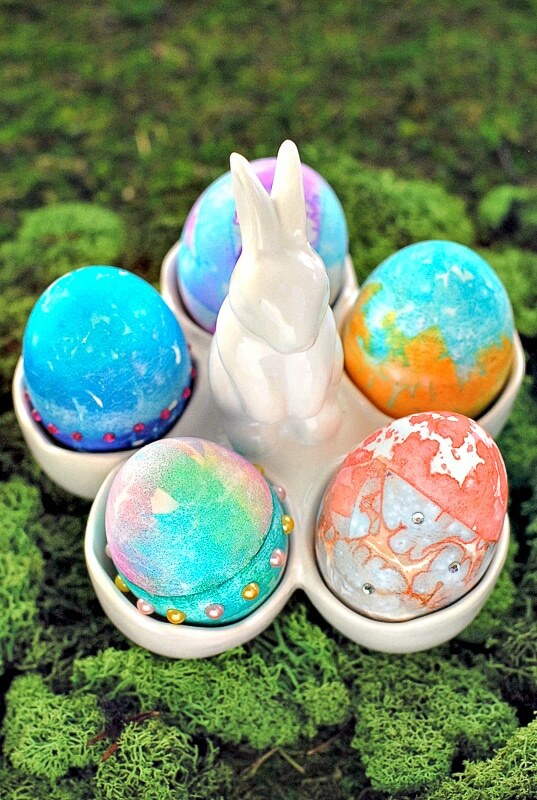 This fun and easy method creates beautiful tie-dye eggs in any color combination desired. Cool Whip Easter Eggs are edible and perfect for little children (who might lick their fingers in the process). 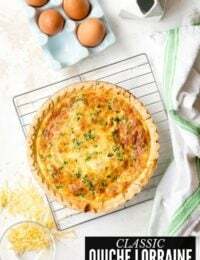 The method for both is the same and create stunning eggs with a little trick! 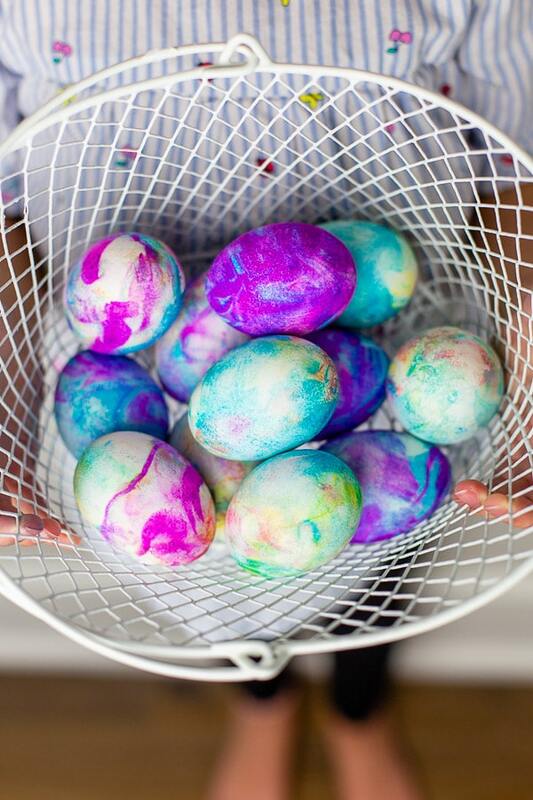 Cool whip dyed Easter eggs are a food-safe alternative to create beautiful Easter eggs. The same process may be used with shaving cream however the eggs will not be edible. These Easter eggs definitely will need some adult help. 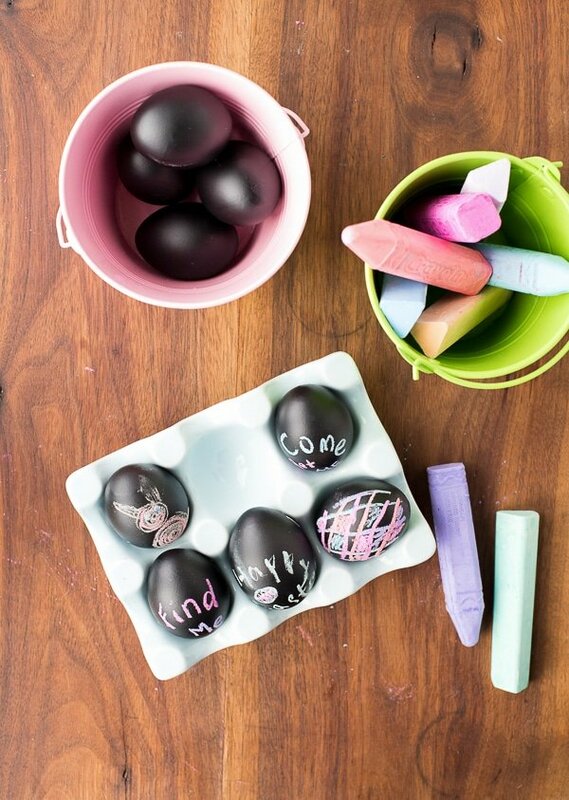 Eggs are sprayed with chalkboard paint and decorated with chalk! I recommend using the Decorating Easter Eggs for this for sturdier handling. 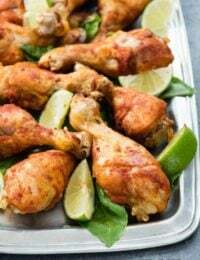 NOTE: If making these with hard boiled eggs I would not eat them since the paint is not food-safe. TIP: these are a fun placeholder at Easter meals! This project can look daunting but also can be made as simply as desired. With ribbon tape and glitter tape every Easter egg is beautiful. 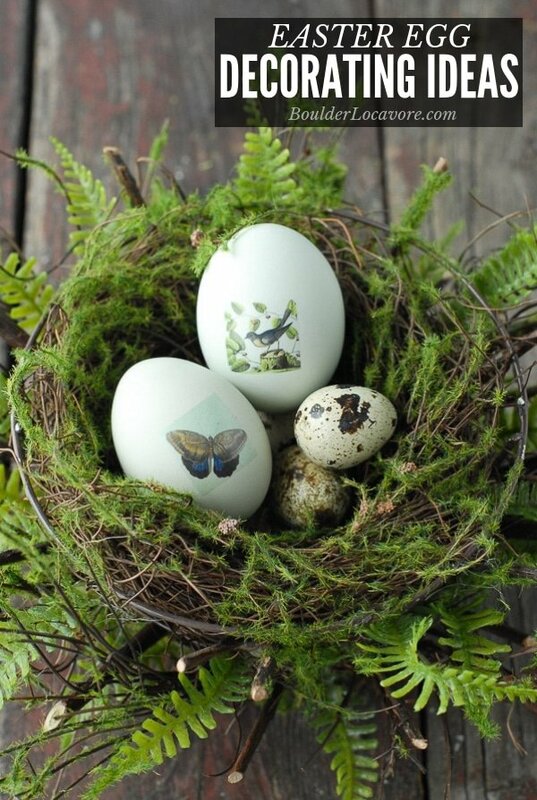 These filled eggs are sealed with tissue paper and a delight for an egg hunt. 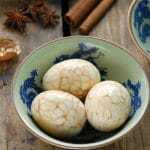 Marbled Chinese Eggs are hard-boiled, gently cracked and soaked in black tea creating a wonderful web of tea-stained lines on the peeled egg. 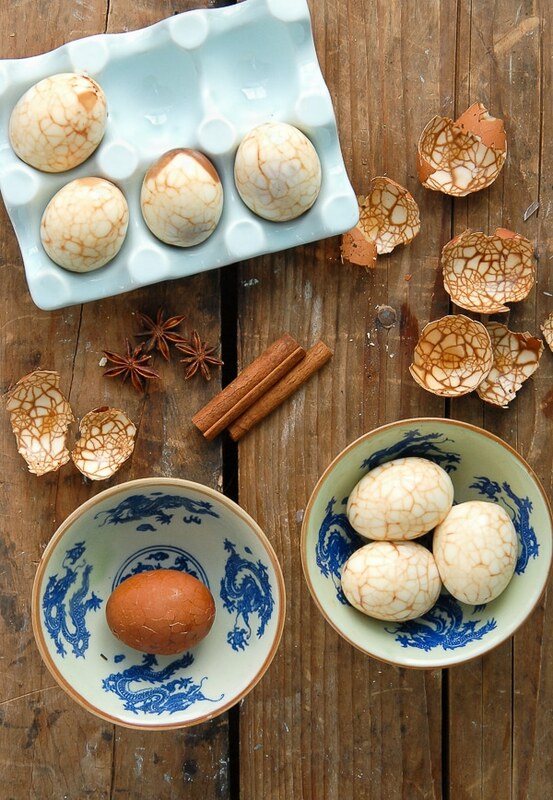 Marbled Chinese Tea Eggs are a traditional lucky food for Chinese New Year. Symbolizing fertility and wealth, they will be prominent on most menus. 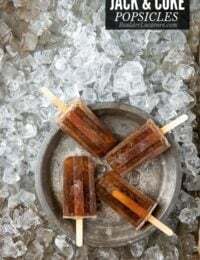 They are easy to make filling the kitchen with exotic smells of star anise, cinnamon, black tea, Chinese five spice and orange peel. Hard boiled eggs are lightly cracked and soaked in the tea-spice mixture for several hours revealing artistic, delicious eggs. 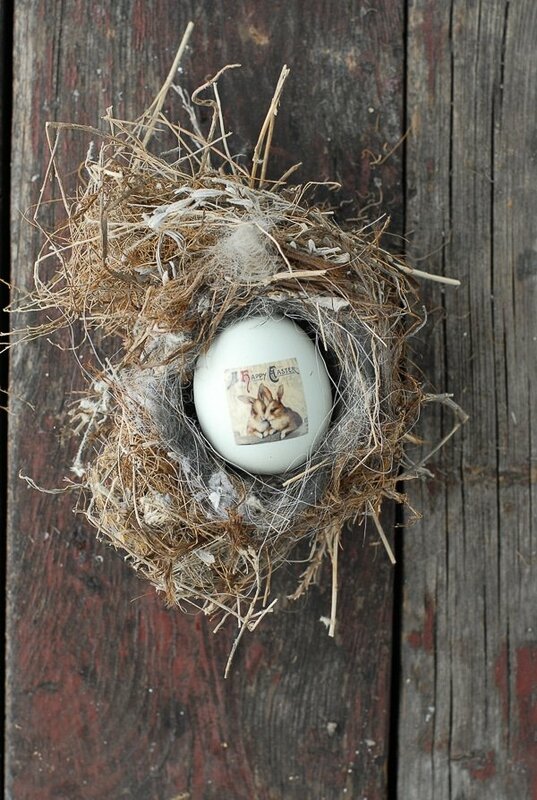 For crafty recyclers, this is a fun project for little egg hunters. 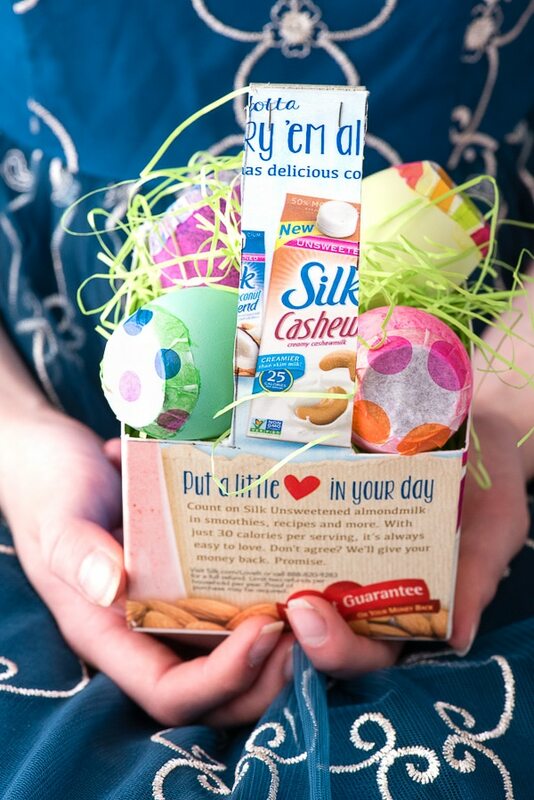 It can be difficult to come up with fun Easter basket ideas that aren’t all candy! This list as some great options you have not seen before. 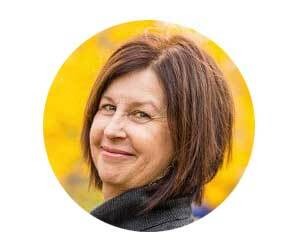 I love these ideas – everything looks just lovely! Thank you for sharing this wonderful decoration! Really beautiful. I’m going to try it. Thanks for the ideas. I love all these different methods. You get bored with the same dying method year after year.